NEW YORK, N.Y., Nov 08, 2017 (SEND2PRESS NEWSWIRE) — EaseUS has just released the new 2.5 version of EaseUS MobiSaver for Android app in Google Play store on early November. The new version Android data recovery app helps to restore deleted photos, videos, contacts, call logs, SMS and WhatsApp messages quickly from internal memory and external SD card of Android phones or tablets. To undelete these types of files on phones running Android 4.0 – new Android Oreo 8.0, it’s only a matter of a few taps. Ranking the top data recovery app for Android, EaseUS MobiSaver automatically starts scanning to search for deleted files fast and displays Android data in well-organized order. The deep scan begins to retrieve deleted photos, videos, contacts, messages or call history right after the quick scan that would cost some time if a large data storage gets the Android device occupied. In addition, it might be different on the display of deleted data scanning results whether the Android phone is rooted or not. This deleted Android data recovery app can automatically detect whether your Android phone is rooted or not before scanning. 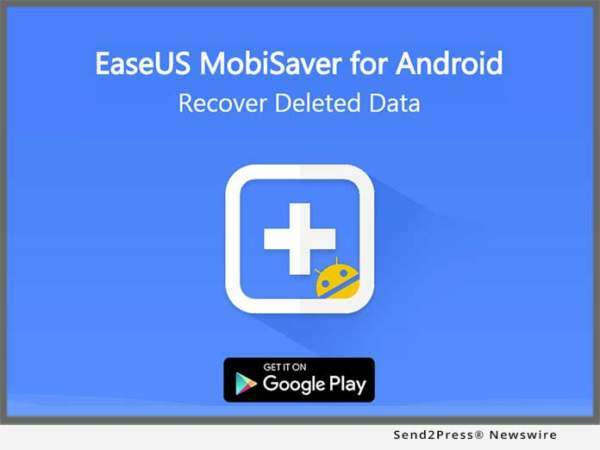 When trying to restore much more lost data, it’s necessary to root Android phone at first and allow EaseUS MobiSaver for Android an access to deleted files. Certainly, it’s done in a 100% safe way and has no effects on original data of Android phones. The 2.5 version Android data recovery program can extract messages in texts as a default messaging app on devices in Android 4.4 or later when attempting to save deleted SMS and WhatsApp messages. In particular, once WhatsApp messages are rescued, it’s easy to view restored text messages in app directly instead of going ahead to WhatsApp gadget. Besides, preview before recovery makes sense to ensure great recovery quality of exact photos, videos, contacts, calls and messages. Deleted valuable photos by accident? Remove videos unexpected when cleaning up storage space? Cannot find important conversations on Android phones? The all-in-one deleted data recovery app for Android brings lost photos, videos, contacts, call history, SMS and WhatsApp all back in a few minutes.